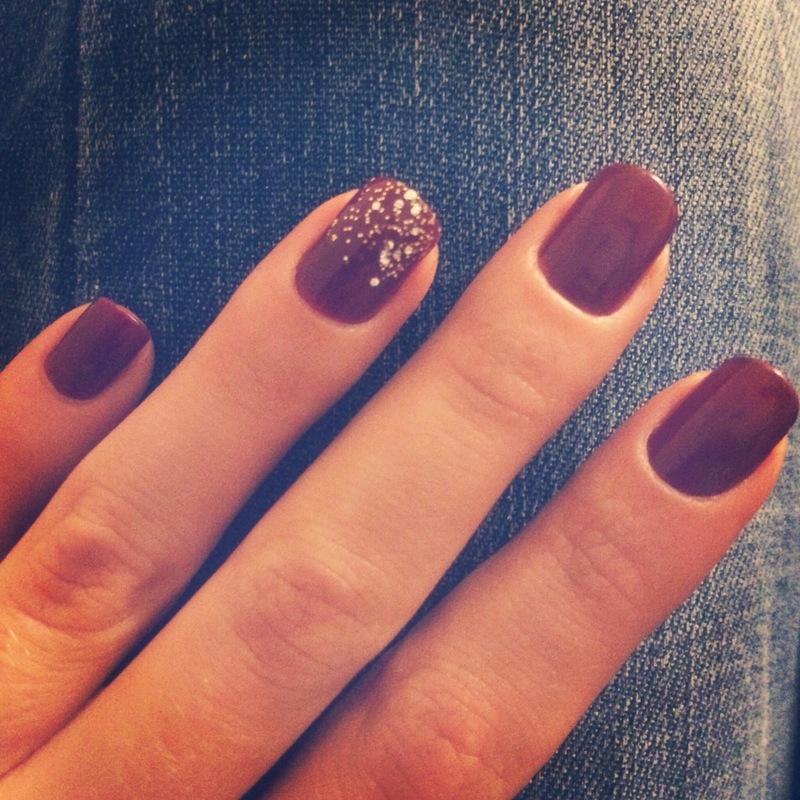 Instead of going for my favourite simple burgundy nails, I decided to make tips of my ring fingers super glittery and festive. 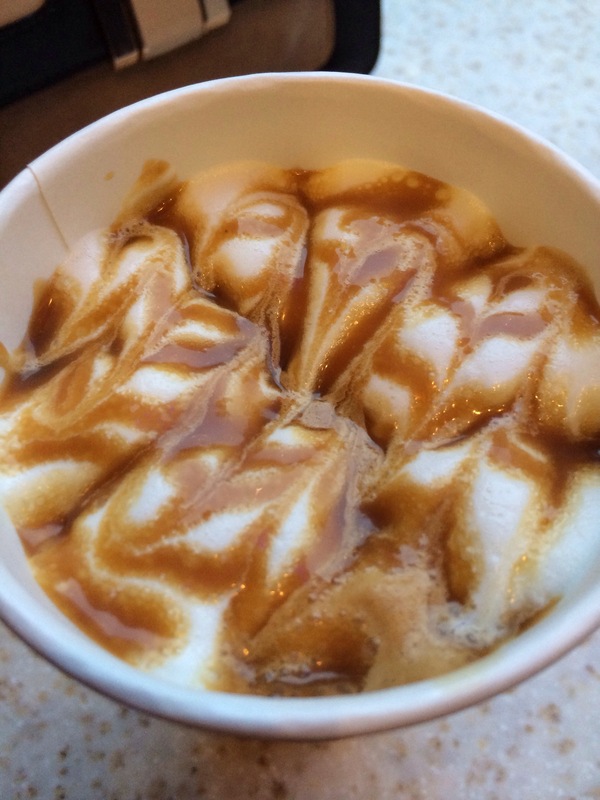 For anyone who doesn’t know yet, I am a massive caramel macchiato addict. I only drink venti btw. The caramel on top looks delicious!